HAVANA — For years, Barbara Betancourt has left her two teenage daughters at home and put on black pants and a white shirt to go to the bar. Known to friends and family as Barbarita, the 46-year-old's career spans two decades. 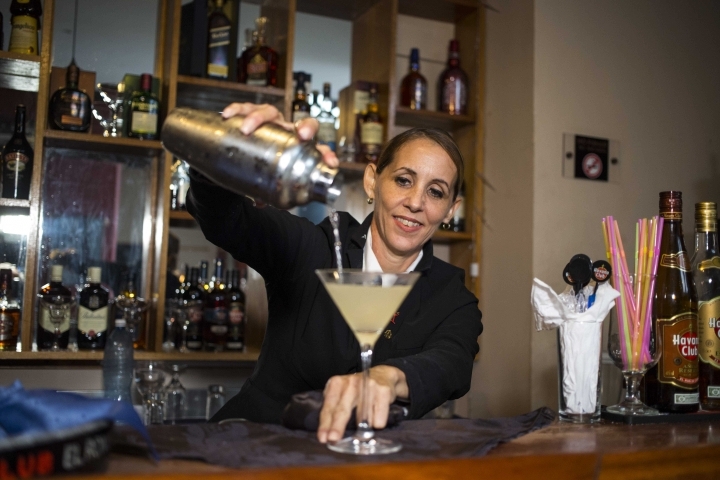 She has been tending bar at the club El Gato Tuerto since 2011. Its location, opposite the emblematic seafront Malecon in Havana, has attracted Cuban music legends and stars throughout its history. 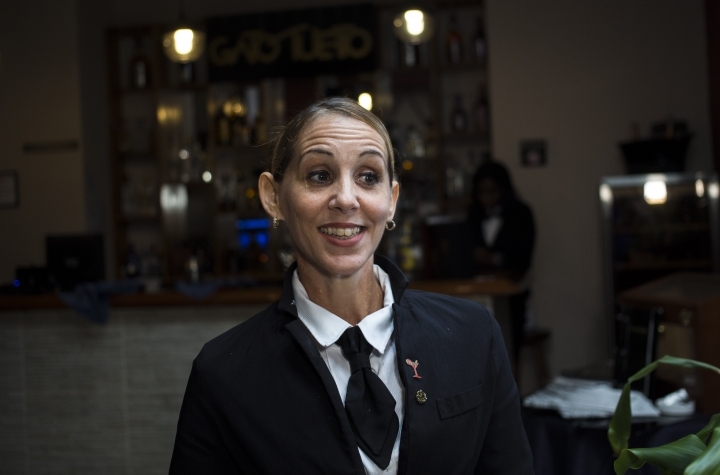 "I wouldn't have been able to continue in this line of work if it wasn't for my own mother, who supported me by staying with the girls," said Betancourt as she prepared a "presidente" cocktail of white rum and vermouth.